Ball valve sealing the main valve seat ring material is polytetrafluoroethylene (PTFE), it is almost all chemical substances are inert, and has a coefficient of friction is small, stable performance, easy to aging, temperature for a wide range andsealing the excellent performance characteristics. The physical properties of PTFE, including the high expansion coefficient, the sensitivity of the cold and poor thermal conductivity, required seating design must focus on these characteristics. Seat sealing plastic materials including PTFE filled, nylon and many other materials. However, when the sealing material hardens, the reliability of the seal will be destroyed, especially in the case of low dropout voltage. In addition, synthetic rubber like the Dengqen rubber this can also be used as seat sealing material, but it applies to the temperature range of media and use of drugs is restricted. In addition, if the media does not lubricate the use of synthetic rubber, easy to get stuck sphere. In order to meet the requirements of the use of high temperature, high pressure, strong erosion, long-life industrial applications, the past decade, metal sealing ball is a great development. 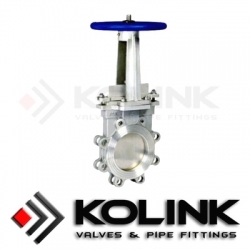 Especially in the industrially developed countries, such as the United States, Italy, Germany, Spain, the Netherlands, the structure of the ball valve continuous improvement, full welded body Buried valve, lift valve, ball valve in the long-distance pipeline, refining devices more extensive industrial applications, there has been a large diameter (3050mm) high pressure (70MPa), the ball valve of the wide temperature range (-196 ~ 815 ℃), so that the ball valve technology to a whole new level.